Have a group of friends who want to go horseback riding together? Create your own horseback riding experience for any age scout centering around horses and horseback riding and make it happen at Waredaca! 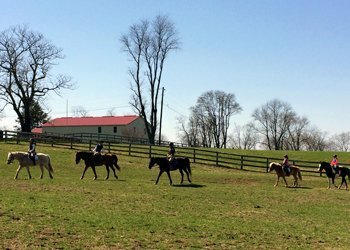 Explore our beautiful farm on horseback, after a brief barn tour and mounted orientation to riding.